A stunning piece with detailed works that make it a unique exhibit. 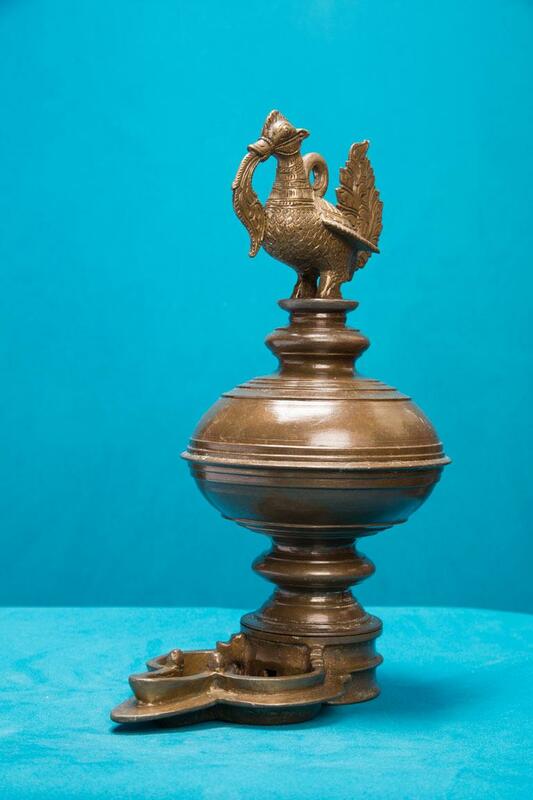 The lamp has a spherical body and a peacock on the top. This is a single wick lamp. The peacock design gives it artistic beauty.